You are expecting a packageand it got lost somewhere. Alas, it happens. Fortunately, thanks to the Internet and modern innovative technologies, the opportunity to follow the movement of your mail piece, almost, from beginning to end. To knowwhere at this time your package is quite simple, if the sender has a receipt that is issued when it is sent. Each registered postal delivery is assigned an identifying number that is entered in the unified system of control and accounting. State this number consists of fourteen digits. The first six – zip code of the liaison office. The following two – week number. Next six digits – the number of your postage. Last – number dispenser. On the website of the Russian post service has a "Tracking" which allows you to observe movement of parcels and registered letters online. Once logged in, the left side of the page you will see the block "Tracking". Click on the link. In the opened window, enter the identifying number. This will bring up a report on where at this point in time is your mail. The service is completely free. Money for using the service, neither the sender nor the beneficiary is not charged. Mail coming from abroad, monitored the PA tracking numbers (tracking number) . In fact, it's the same identity number, consisting of thirteen characters – country code of the sender, the number of the post office, etc. the Tracking number allows you to track the mail until the time it leaves the sender. After that, it is out of control. Further promotion can be seen already on the website of the Russian post. Recently new convenient universal system for tracking mail tracking number. If you have a lot of traffic, install on your computer one of them. For example, http://www.trackchecker.info/ is a free program Russian private developer, or http://gdeposylka.ru/ –speaking service tracking mail. But, unfortunately, it often happens that a postal item to the addressee still does not reach. If, after completing the specified deadlines of delivery you have not received your package, contact the sender. By law, the postal item till the moment of delivery to the addressee belongs to him. Therefore, it is preferable if he and begin wanted. But you can do it too. Ask the sender to send you a copy of the receipt. Even if there is a tracking number, the instrument of acceptance by mail of departure is, in any case. 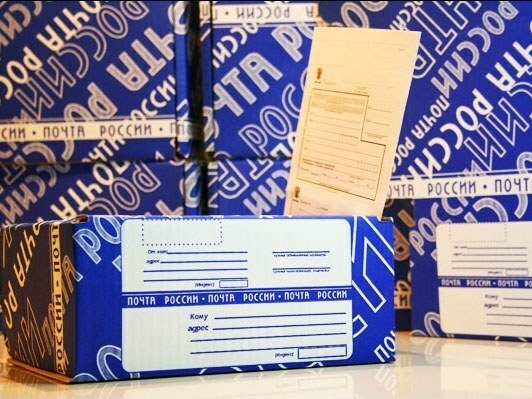 After receiving the copy, go to the Central post office of your city and write a statement to search of your parcel. If we accept your application is refused, ask for the boss and hand him the document, so that you may say. Even if the package goes without a number, it is a problem mail, not yours. From this position and act. Specify the type of departure, from whom, and who is, attach a printout of the payment receipt. Make sure that your application is registered. Be sure to take a receipt indicating that the application is accepted. Can send a complaint to the Ministry of communications minsvyaz.ru/ru/directions/questioner/. Describe the situation and wait for an answer. If you answered that the parcel is deemed lost, write a statement to the police. Sometimes this helps and the contents of the parcel is located. If not, then write an application for compensation. If the package even arrived, but all delivery times are violated, then, under clause 8, article 21 of the universal Postal Convention you may require EMS compensation. However, the primary right belongs to the sender. But it may send the denial in your favor. Attach it to the application for compensation and send a registered letter with acknowledgment of receipt. Expect a reply within one month. If not or you are not satisfied, contact the court.